Dont Du just Liebe the teen titans? I Liebe in one episode how cyborg and BB are making Breakfast and BB asks who wants tofo and Cyborg says dude no one wants tofo and he says Well I do pass my the soy milch and cyborg asks is there any meat in the tofo and BB says no theres no meat its tofo. I laugh ever time. try Lesen the comics! BB is funny as crap there! i Liebe the teen titans Mehr like robin hes so cute and adorable! i know that series rocks!!!!!!!!! BB ROCK!!! and am i the only one who thinks he is kinda cute? Liebe then forever!!! Have done that in over five years now!! 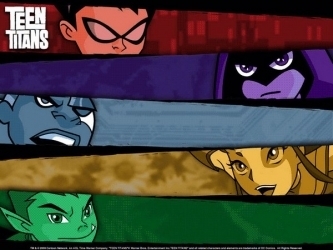 >.< Teen titans are one of my favourit shows! Of course.I even wish I owned it!